Gum disease is very common and affects more than 50% of the adult population. Symptoms could be as little as bleeding gums, or as severe as losing teeth. So how can you tell if you have gum disease? Bleeding gums while brushing and flossing is the first stage of gum disease called gingivitis. Although you may not see any swollen gums, do not overlook this. This is the best time to act. 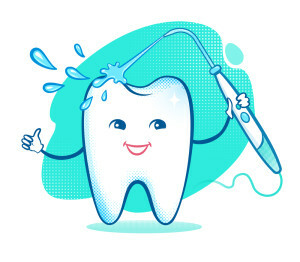 Make sure you are brushing twice a day, flossing once a day and using mouth rinse in your oral hygiene routine. If the bleeding persists, you will want to get a hold of your local dental professionals. While gingivitis is reversible the next stage, bone and gum loss, is not. When plaque builds up under your gums and is not removed tartar starts to form. Irritants like tartar that stay under the gums for a prolonged period of time will cause bone and gum loss also known as periodontal disease. Depending on how much bone you have lost your teeth may become mobile. Other signs of progressed periodontal disease are gum recession, bad breathe and tastes. If you believe you have tartar build up or periodontal disease, then you need to visit your local dentist. Getting your teeth cleaned is the only way to remove these irritants and improve oral health. Some patient’s may require certain gum treatments to control the disease followed by three to four cleanings a year depending on the severity of periodontal disease. In the recent years studies have found a direct correlation to periodontal health and diabetes. They have also found it associated with heart disease. Getting your teeth cleaned once every six months is very important for your oral health and can greatly impact your overall health. So get in for a regular check up with your dental office and prolong the life of your teeth! Regular dental cleanings are an important part of preventing serious gum diseases like gingivitis and periodontitis from thriving. Contact us to set up a cleaning today.